Going back to school is an exciting time for most children. It’s a chance for children to meet new teachers, reconnect with their friends, and of course, gear up for a fresh year filled with learning experiences. For many children, one of the best parts of going back to school is getting all the supplies they will need for the upcoming year. Children love walking into the classroom on that first day of school with a colorful new binder or stylish lunch bag. From backpacks and notebooks to scissors and pencils, there are a lot of items kids need to be prepared for school. Not only can the list of essential supplies be extensive, but the costs of the supplies can add up to hundreds of dollars. For some military families, this can be a big financial burden. 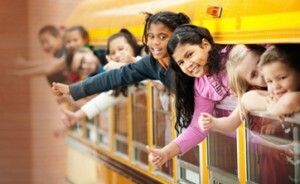 Omni Financial understands the financial concerns of military families during the back to school season. To help these families, Omni regularly supports programs and initiatives that provide school supplies free of charge to children who may be unable to afford them. One such program is Operation Homefront’s Back to School Brigade. Operation Homefront is an organization that provides emergency and other financial assistance to the families of service members and wounded warriors. The Back-to-School Brigade is Operation Homefront’s annual nationwide initiative that distributes thousands of backpacks filled with new school supplies to military kids in need. The supplies help give children in grades pre-K through 12 the tools they need to start a successful school year. Plus, the children take pride in their supplies which enhances their self-esteem. This year, as in the past, Omni’s offices in Norfolk, Newport News, and Petersburg, VA will be participating in the Back-to-School Brigade. We are happy to give back to the children and families who live in the communities we serve.